Desorcy, Loretta T. (Labbe) 86, passed away peacefully with her loving family by her side on February 7, 2019. She was the wife of the late Albert Desorcy, they had been married for 59 years prior to his passing. Born in Central Falls she was the daughter of the late Alfred and Yvonne (Norman) Labbe. She was a communicant of St. Anthony Church. She was a devoted wife, mother, grandmother, and great grandmother. 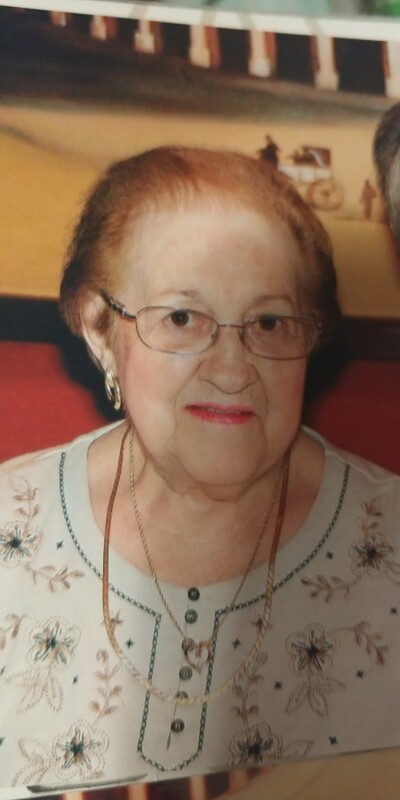 She was an avid card player, loved doing crossword puzzles with her husband. She especially loved spending time with her family and friends. She was the mother of Ronald Desorcy and his wife Jaqueline, Denise Santoro and her husband Albert, Richard Desorcy and his wife Lisa, Roger Desorcy and his wife Lori, and Paul Desorcy and his wife Joann. She was the cherished Grandmother of 9 grandchildren and 4 great grandchildren. She was the sister of Rita Renaud and her husband Leo, and sister in law of Richard Legare. She was the sister of the late Cecile Legare.